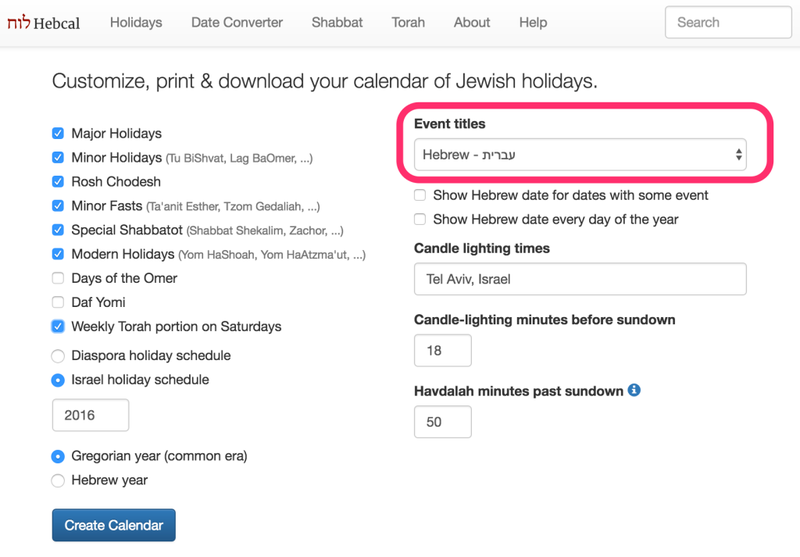 It’s easy to create a calendar in Hebrew instead of transliterations. Next, change the Event titles option from the default (Sephardic transliterations) to Hebrew – עברית. Then, set up the rest of your options as you desire, and click Create Calendar. After that, you’ll see the calendar of Jewish holidays, and you will presented with an option to print, download, or subscribe to the calendar.